You need to change the tired look on the face but you don’t know how? You think a surgical face lift is the only option, but you are wrong. You do not like the fact that your cheeks look flat, you look tired with crinkly skin and deep lines and wrinkles and deep folds on the face, and especially the sagging face bothers you. So what do we do? Hyaluronic acid is natural sugar present in dermis, filling the space between collagen and elastin fibres .its hydrophilic property attracts water which contributes to hydration and volumization of skin. hyaluronic acid is commonly used to fill wrinkles in the face and neck areas and also as a facelift treatment by using it for hydration for full face .hyaluronic acid is a natural substance which makes the skin more firm and elastic. hyaluron has similar effects as collagen but the if we inject hyaluronic acid it last longer. non invasive cosmetic procedure involving microinjections into multiple areas of the skin of face as an effort to hydrate ,plump skin treat wrinkles and rejuvenate facial skin and slowing the process of aging. The treatment is safe, simple, reliablequick lunch time procedure. Results –Results last for 3 to 4 months depending upon area treated. The filling process is safe, temporary with dramatic results. Liquid face lift is a simple procedure carefully designed to put hyaluronic acid (a substance that exists naturally in abundance in your skin) in an aesthetic manner in the lines and folds of the skin. 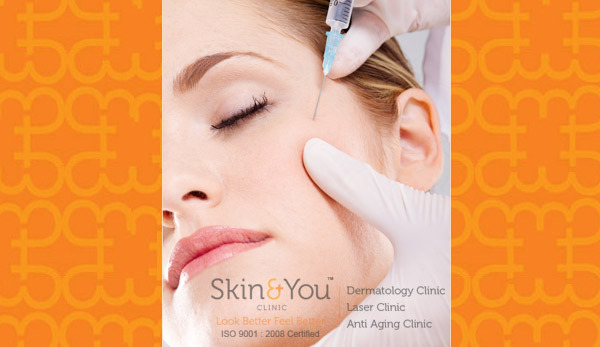 Why Skin & You Clinic for liquid face Lift? We at Skin & You Clinic can perform the procedure for any area of the face with natural aesthetic results.